Hi babes, please take note of this !! It's only 2 days away from now, make yourself free !! 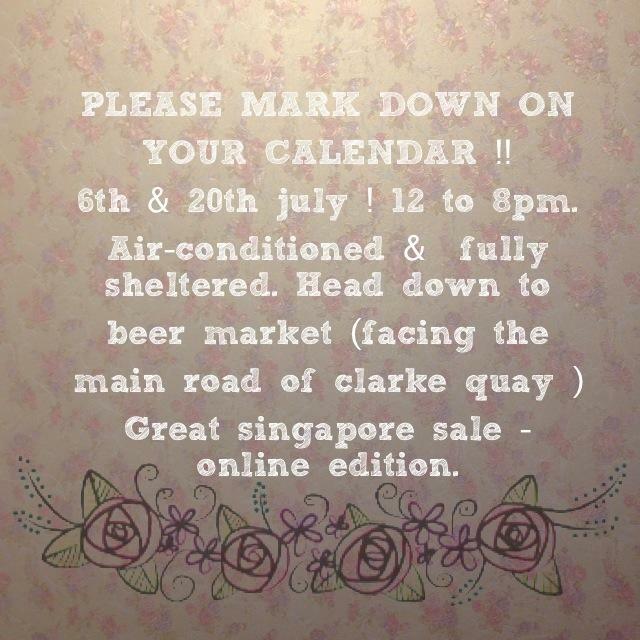 Come down to the Beer Market located at Clarke Quay to support me ! Bringing in all the new clothes from my new blogshop SHOPESCAPADE !! I've been saying for years that I want to set up my own blogshop, open my own shop and all, but I've never been hardworking towards it. Hate myself for that. 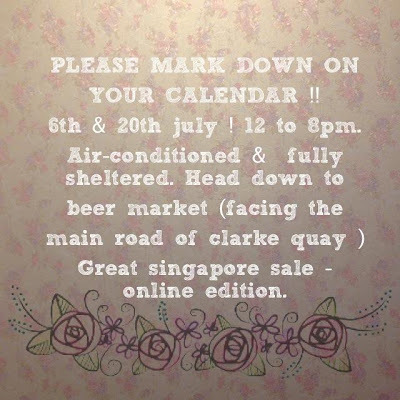 So I guess as time passes the blogshop market is getting more & more competitive cause almost everyone is doing it and everyone wants to try it out. It does affect me cause I feel that I'm no where there. I'm not pretty, not skinny, not hot, not well-known, but I'm purely doing it for passion. Time to time I ask myself not to waste my time & effort on this but still, whenever I'm free I just tend to keep going back to it. The reason I didn't continue is because I kept losing faith along the way, thinking others will always be ahead of me, doing much better than me. I can't promise the clothes I'm selling can be cheaper than other blogshops, because I'm bringing in new pieces & these are not dead stocks. As compared to other blogshops, they're in the market for a period of time, thus they're able to charge at a lower rate in order to clear their old stocks. However, all the clothes are hand picked by me. Ensure that the clothes are of good materials & not just looking good from photos & also the cutting of the clothes. If you girls are confused, don't know what type of clothing suits, feel free to approach me !! I'll be at the booth from 12 - 8pm.